Bonpoint (Eau de Toilette) is a perfume by Bonpoint for women and men and was released in 1986. The scent is powdery-citrusy. It is still in production. The scent was created by Annick Goutal for her sister Marie-France Cohen. She is co-founder of the brand Bonpoint. In 2009 the design of the line was updated. It took me forever to find this, but I've finally gotten a bottle of the EDT and the alcohol free version. I'm still looking for the concentre. This is a pretty fragrance, opening with citrus, orange blossom, basil and juicy mandarin orange form the heart, and the base is mossy. It's very similar to Baby Tous, and also shares some notes with both Tartine et Chocolat Ptisenbon and Burberry Baby Touch. Eau de Bonpoint is a nice addition to my 'baby' perfume shelf, but longevity and sillage are as elusive as the fragrance - the alcohol free version completely vanishes within 10 minutes, the EDT is a little better, lasting about 2 hours. I will continue my search for the concentre, but probably will not replace either of the versions I have. Baby Tous is much less expensive, and almost identical, so that will be my permanent 'baby' choice. 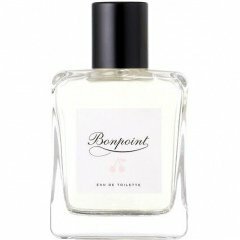 Write the first Review for Bonpoint (Eau de Toilette)! Did you try Etsy, and Ebay?